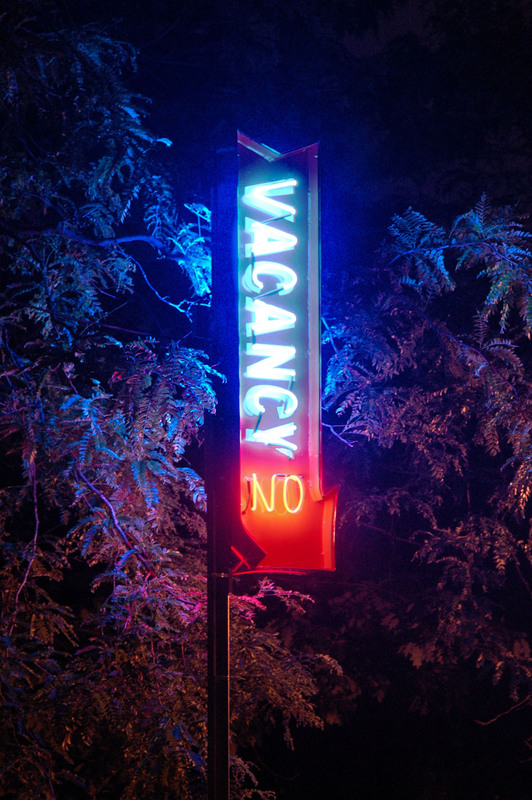 Installation that uses typical NO VACANCY neon signs that that reminiscent Motel's bordering our highways. 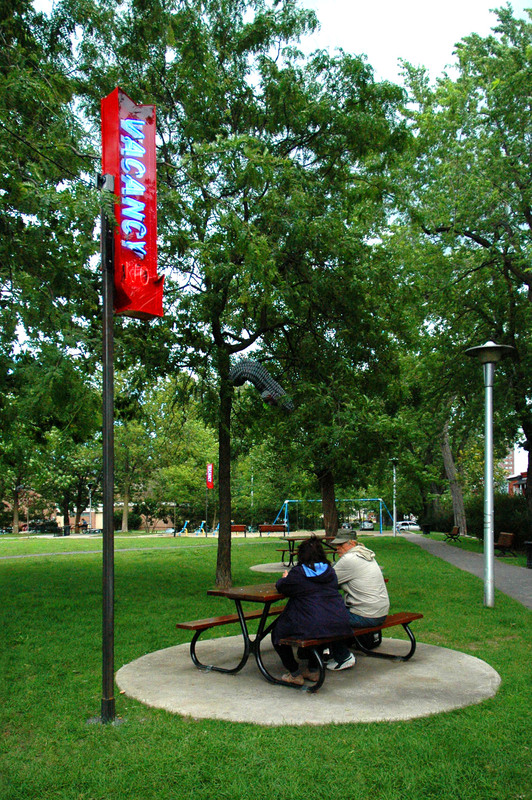 Playing on occupation of public spaces and proximity in society, the installation indicate to the passers if the parc picnic tables, benches or swing are vacant or not. 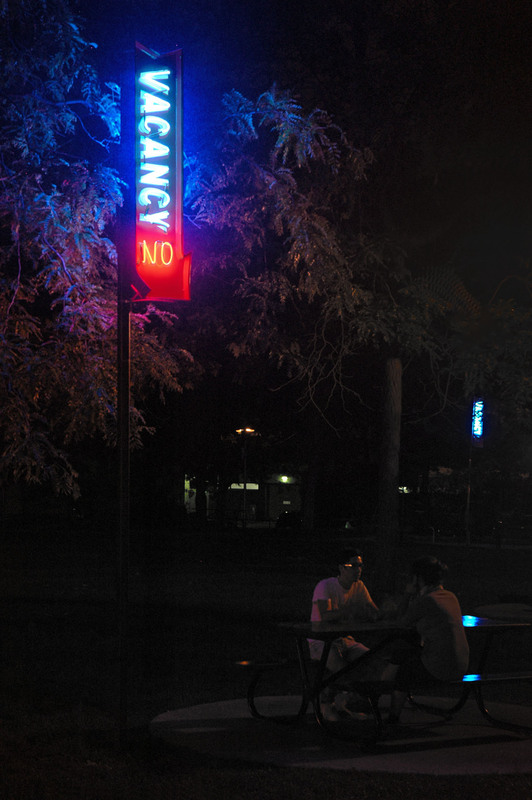 Part of Paysages Éphémères contemporary art venue.